It's been nearly a month since my last FREE Digital Cutting File and I am pleased to share my newest cut file with you today called Arrow Titles. What makes this reveal even more exciting to me though, is that I have my first ever Guest Designer who has created an amazing layout using this cut file to help inspire and delight you! Arrow Titles was created with everyday memory keeping in mind. With the new found popularity of pocket style scrapbooking, these simple titles were created to go with nearly any theme you may want to record. There are four titles, as well as one plain arrow that you can use as you wish. This digital file is available in both SVG and Studio formats and you may download this digital cut file for FREE for your own personal use. Speaking of scrapbooking, I was tickled pink when Katrina Hunt happily agreed to be my first ever Guest Designer. 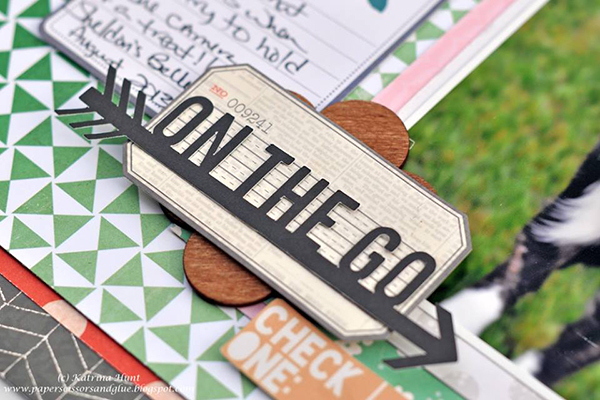 She has created an adorable scrapbook layout using the Arrow Titles cut file. Please visit her blog - Paper, Scissors and Glue to see her layout and all the super fun details. 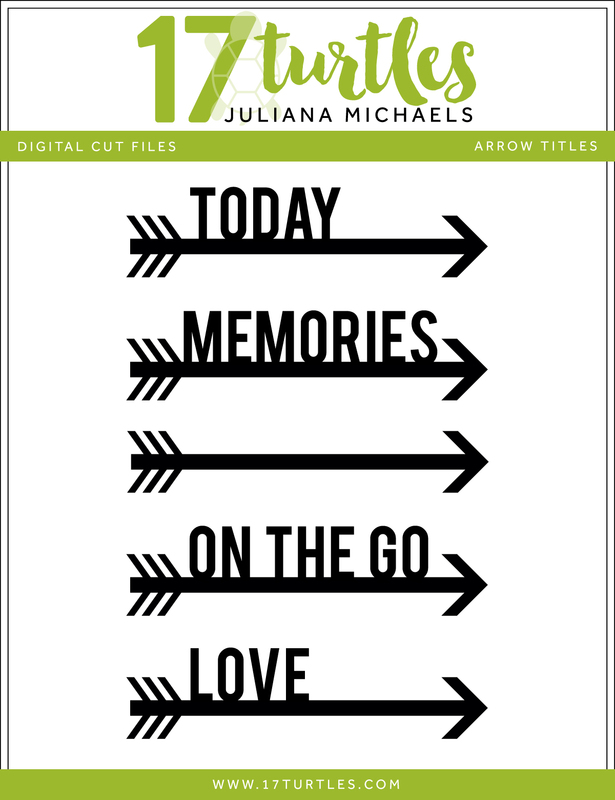 I'd love to see how you use my Arrow Titles Digital Cutting File. Feel free to link it up below for your chance to be one of my next Guest Designers! As always a real pleasure to visit your blog. I am following in all ways possible. I love the cutting files, but have nothing to use them with, so can't enter a card, but have spread the word and hope that you get stacks of visits, and entries. I loveeeeeee these!! And I love Katrina!! off to see what she made!!! Thanks so much for sharing them! I'll be sure to find a way to use them and share my project with you! Thanks so much for sharing! Off to see what you created! These are so cute Juliana! Thanks for sharing!! Just found your blog and I love your work! Thanks for all of the free cut files too! If I use any of them, I will definitely let you know! I stumbled across your blog recently. Thanks so much for your free cut files! Are these arrows still available? It asks for a log in. Thanks! They are still available Ann. All you need to do is click on the link to download them. I just attempted to download these arrows and I'm getting an error. Are they still available? Allison - I apologize about that. Something must have happened to the link. It is up and working again! Thank you so much! Love these arrows.